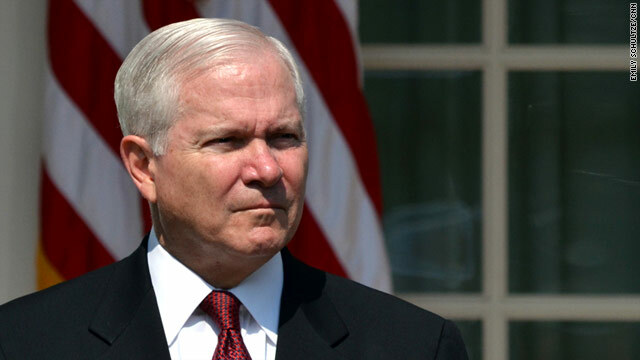 Gates’ view, the source said, was that “the only way you negotiate is out of a position of strength.” The source would not specifically elaborate on Gates’ view of the deal that was ultimately struck, but the history of his thinking as being “uncomfortable” with such negotiations is a clear indication. The source added that back then, in mid-2011, “it wasn’t a really serious conversation.” It had come up more in the context of a Gitmo closure strategy, he said. Gates left his position in July 2011. The former senior Defense Department official also confirmed that the thinking of Panetta and Gates was shared by Clinton. There seemed to be an assumption that it would not happen. But since all three have left, the source said, he could not comment on the circumstances of the recent decision to make the swap. What’s changed, of course, is the decision to draw down U.S. troops in Afghanistan to 9,800 beginning next year and withdraw almost all troops by the end of 2016. The announcement on transitioning out of Afghanistan–and the swap for Bergdahl–were just five days apart. To really close the book on a war, especially one that didn't end so great, is to make sure no Soldiers are left behind. Tait was a problem in putting Vietnam behind us. And Korea too. Has anyone ever heard this POTUS state that he LOVES this country??? So if these five Taliban re-enter the fight in Afghanistan prior to the USA surrendering, and USA troops are killed, will you lefties agree that Obama should be impeached for helping our enemy and not upholding his sworn oath as Commander in Chief of the USA? Obama releases 5 high ranking terrorists while also negotiating with them. Obama negotiates with terrorists but not the Republicans. Could Obama himself be a terrorist? Lot's of experts posting here. This is a dammed if you do and dammed if you don't senerio. I am so proud of all of you! Beam me up Scotty! Sen. McCain told AC360 this past February that he was comfortable with swapping the top Taliban leaders for Bergdahl. Psssssst... IF Obama had followed the LAW and involved congress of his intentions, Sen. McCain could have made his stance known. Stop the deflection. Hello. Psssssst...If you take the time to stop and think about it, McCain did make his stance known. McCain had clearly stated that he was for a swap of top Taliban leaders at Gitmo for Bergdahl. He was riding the "Obama doesn't want to bring this man home" and support our troops train. This swap is identical to what McCain had suggested back in Feb. as to what the administration could, or should, do. Silence DoGood "How about we give Obama the same punishments Reagan got? That would be nothing." First off, if you are going to give a history lesson then give the entire lesson, not just what you think is relevant. Second off it was a whole different world in the early 80's, why don't you joint todays world like most everyone else. Sorry, I forgot we are still fighting in Afghanistan and the war hasn't ended yet. I don't know what I am talking about or what planet I am on sometimes. Thanks for the reminder Silence DoGood when u mentioned Bengazi. So you agree that we give Obama the same punishment that Reagan got? Please tell me you read the whole comment and not just the word Benghazi spelled correctly. Witness the core conservative supporter literacy level. Tom I, what is your point? Bergdahl is innocent until proven guilty. It does not matter if the facts are astoundingly obvious. If we deny him his process because the facts are astoundingly obvious, then "innocent until proven guilty" is just an empty slogan. We have a system of justice in America. We have military courts for military personnel. Bergdahl is an American, and he deserves due process. We don't convict him in the court of public opinion, certainly not when a foreign-owned corporation is doing the prosecuting. Yes, I am talking about Fox News. The same due process given to the American citizens we killed in drone attacks? Yes I have. Easy to find on "the Internet" with "the Google". How will we know it is one of these 5 and not one of the 520 Mr. Bush released? BTW, I don't believe the U.S. will be "surrendering".